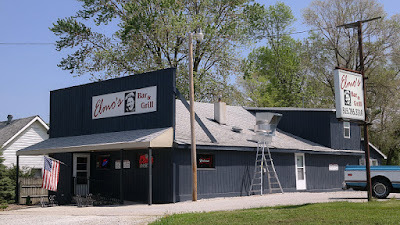 Location: 605 S Kennedy in Madrid, Boone County, Central Iowa. Directions: Kennedy is the main drag through town when driving from Des Moines on Highway 17. 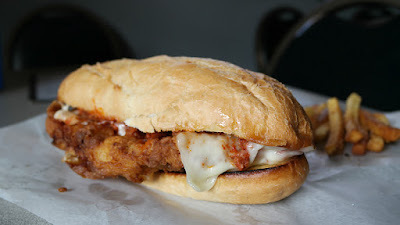 The Tenderloin: This was listed on the menu as the "Deluxe Tenderloin" and described as a fresh tenderloin topped with grinder meat and melted mozzarella cheese. 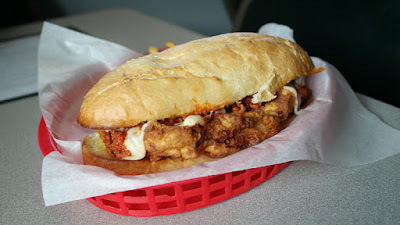 The pork loin was lightly breaded in a crispy coating, but the huge amount of grinder meat dominated the sandwich. 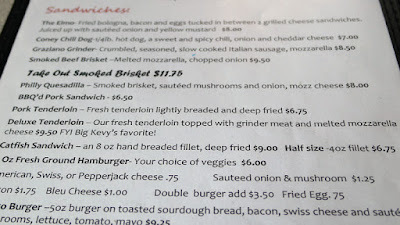 The toasting of the bun and the melting of the cheese was about right. The whole thing was big. Served on a toasted Italian grinder roll. 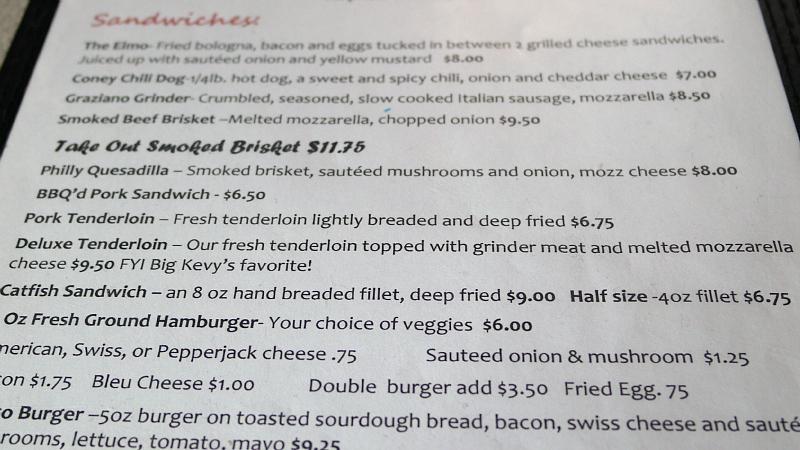 Price: $9.50 a la carte, I went with some hand cut fries on the side for an extra two dollars. Also on the menu: Bar food like hand pattied burgers and a giant sandwich named The Elmo. There is also Taco Tuesday and a Steak Night. 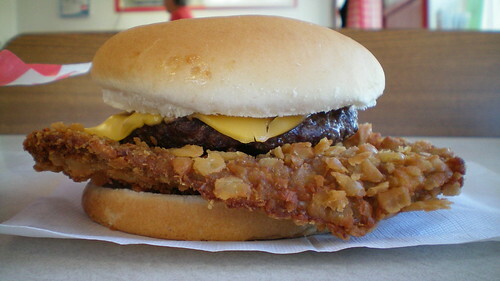 Service: Its bar service with orders taken to a kitchen. Ambiance: This is a small town bar that looks renovated with beer signs and video game machines and televisions. 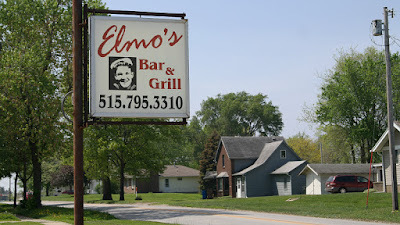 Final Thoughts: Elmo's is a nice small town bar that isn't a long drive from Des Moines.